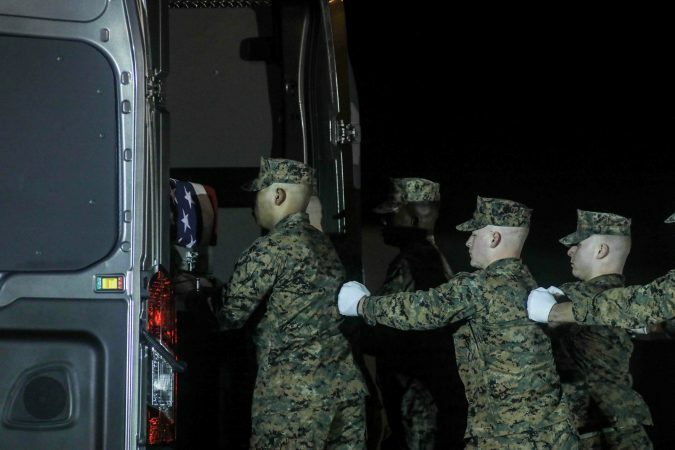 A Marine killed by a roadside bomb in Afghanistan was returned home to Delaware Thursday night. Staff Sgt. Christopher K.A. 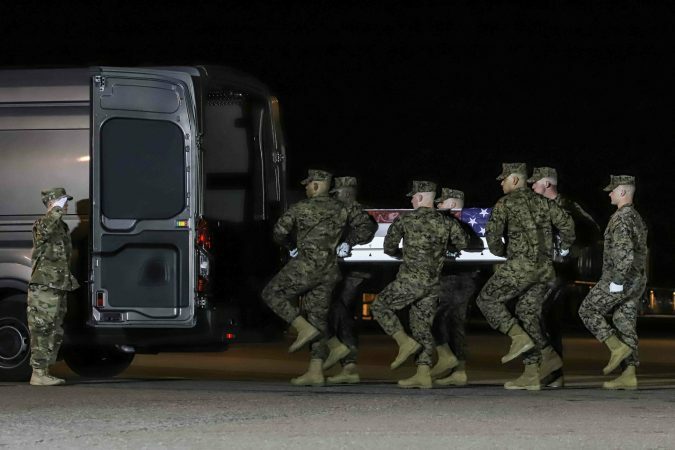 Slutman, 43, and two other Marines, Cpl. Robert A. Hendriks, 25, of Locust Valley, New York, and Sgt. 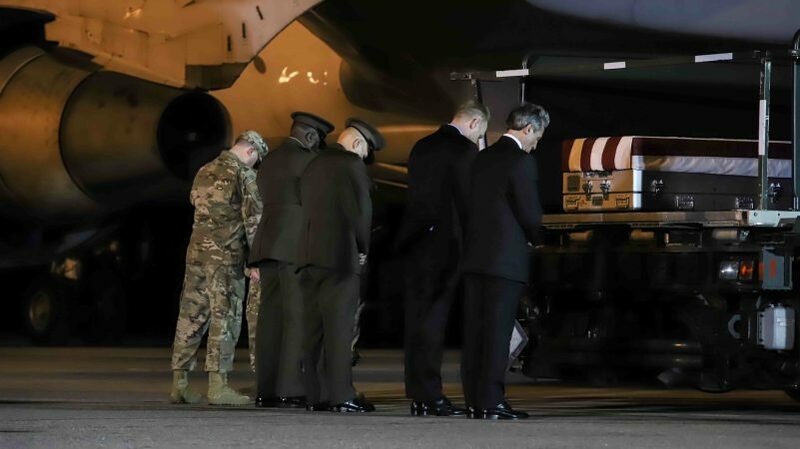 Benjamin S. Hines, 31, of York, Pennsylvania, were killed Monday, April 8, while conducting combat operations in Parwan province, the Department of Defense announced Tuesday. 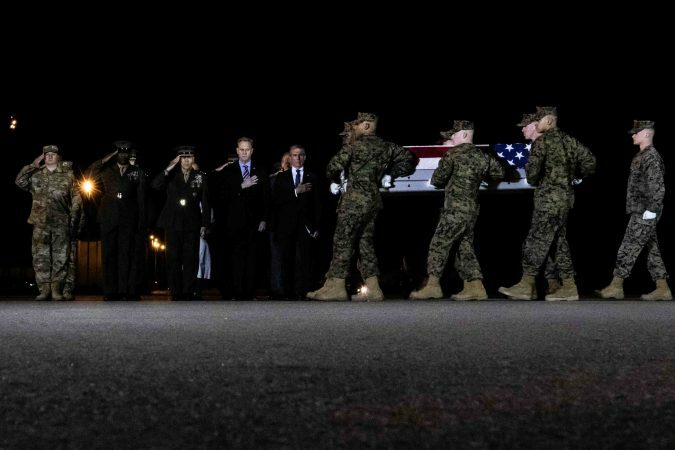 A team of fellow Marines waited on the tarmac at Dover Air Force Base to carry the flag-draped remains from the 747 jet to a waiting van while family, colleagues, military and government officials looked on. 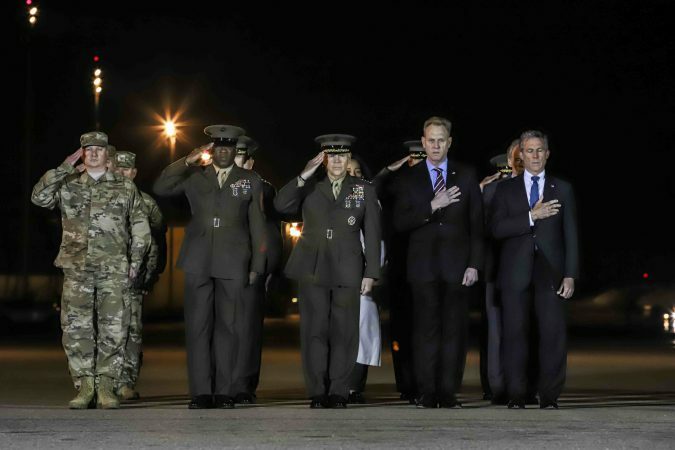 The solemn process is called dignified transfer and is conducted for every U.S. military member who dies in the theater of operation while in the service of their country. 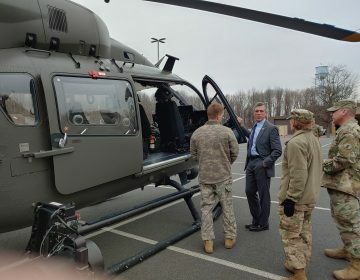 Delaware Governor John Carney prays in front of the transfer case of Staff Sgt. Christopher K.A. 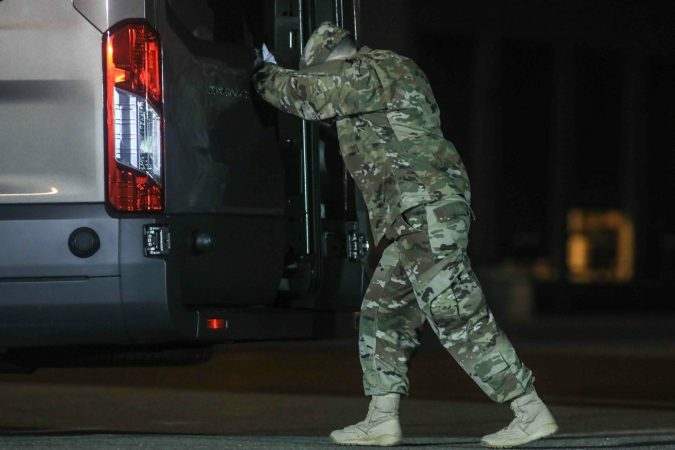 Slutman, 43, of Newark, Delaware, during a dignified transfer at Dover Air Force Base Thursday, Apr. 11, 2019, in Dover, Del. (Saquan Stimpson for WHYY) Sgt. 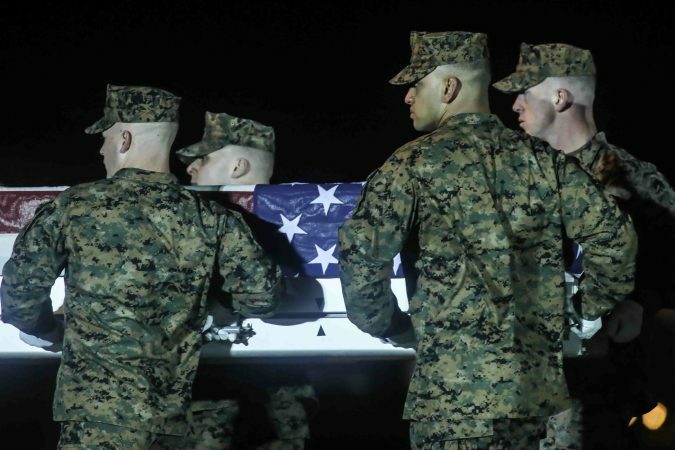 Slutman died April 8 while conducting combat operations in Parwan province, Afghanistan. Slutman was a New York City firefighter but kept a house in Delaware, where his wife and three daughters lived. He was decorated for bravery in 2014 after rescuing an unconscious woman from a burning building in the South Bronx, Mayor Bill De Blasio said in a statement. The fallen Marines were assigned to 25th Marine Regiment, 4th Marine Division, supporting Operation Resolute Support. 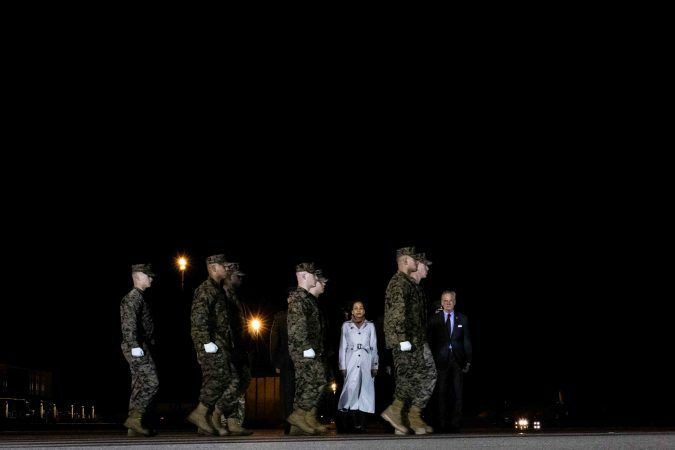 They deployed to Afghanistan in October 2018 as part of a program in which Marines train and advise Georgian infantry troops that the former Soviet republic contributes to the NATO mission there. 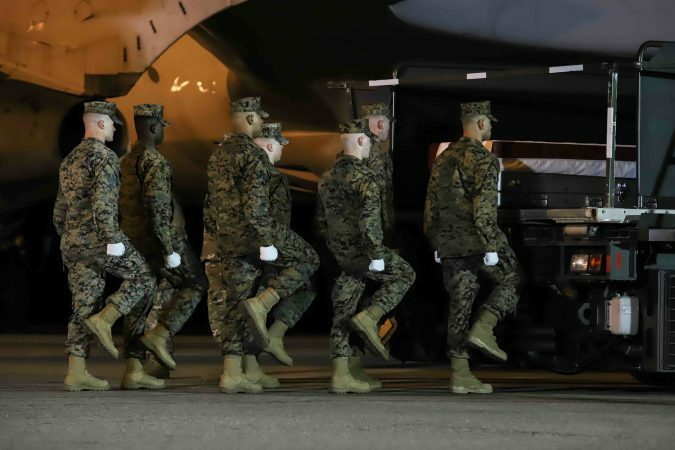 Slutman and Hines were expected back in the United States in a week and a half, said Kyle Moyer, a friend and Marine veteran. 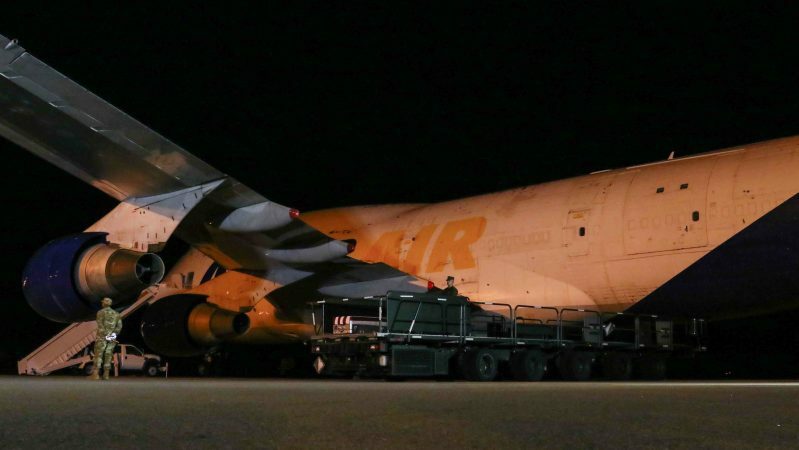 The guard provides resources — such as training and transportation — to law enforcement agencies across the state in their efforts to tackle drug trafficking. 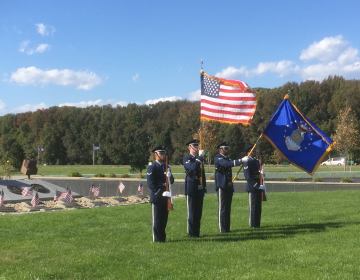 The cemetery is one of only four state and tribal cemeteries out of 111 in the U.S. to receive this year’s Operational Excellence Award. 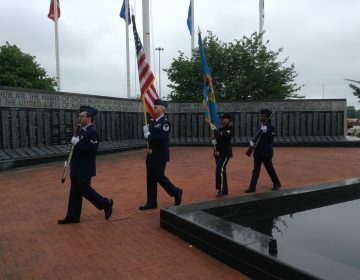 The service honoring Delaware's fallen military members takes place May 30, the date Memorial Day was observed until 1970.